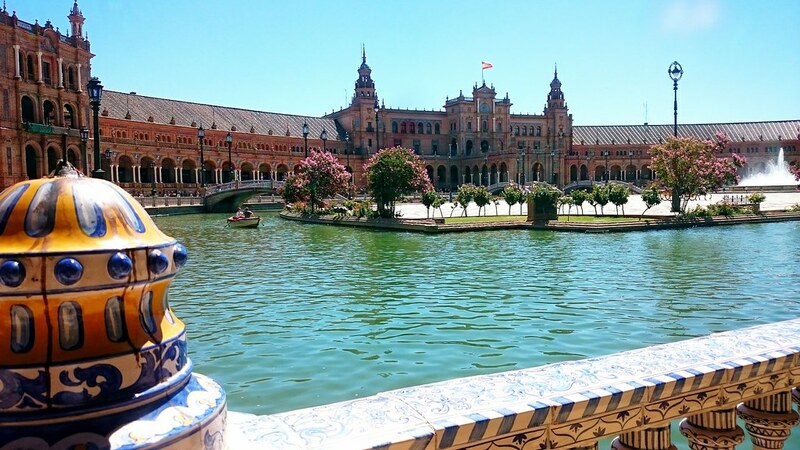 Having finished the final exams for my undergraduate degree in Japan Studies, me and my girlfriend decided to spend some time off by visiting a friend doing an internship in Seville, Spain. We used our time there to get a glimpse of beautiful Andalusia and were not disappointed by the stunning beauty of it’s architecture and nature, it’s fascinating history and last but not least, it’s wonderful culinary traditions. Andalusia, an autonomous region at the most southward point of Spain, has had due it’s location - a gateway between Europe and Africa - strong ties with many cultures such as the Phoenicians, Greeks, Romans, Byzantines, Jews and the Muslim Moors. These cultural influences have left a strong mark on Andalusia, both in national identity as cultural marks including architecture, music, dance, and cuisine. 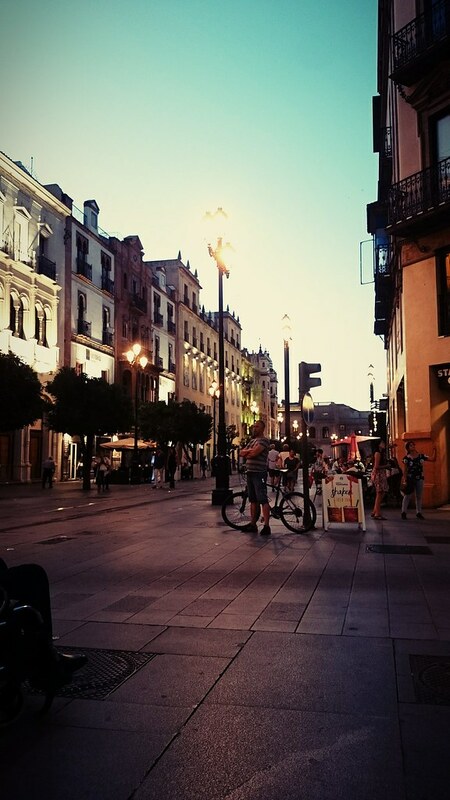 Our friend let us stay in her apartment in Nervion, the shopping district of Seville, approximately 20 minutes by foot from the historical center. Taking her apartment as starting point, we arranged most of our activities around Seville and nearby regions. 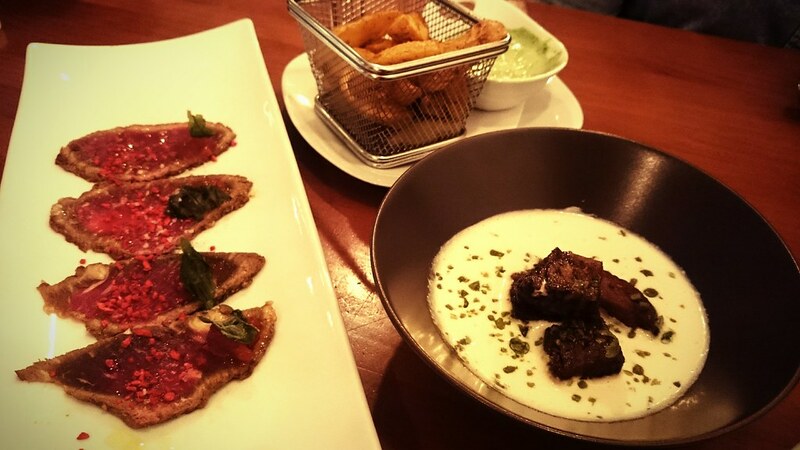 It was quite a pleasant suprise to be located only a short walk from one of the more appraised tapa2 restaurants in Sevilla. 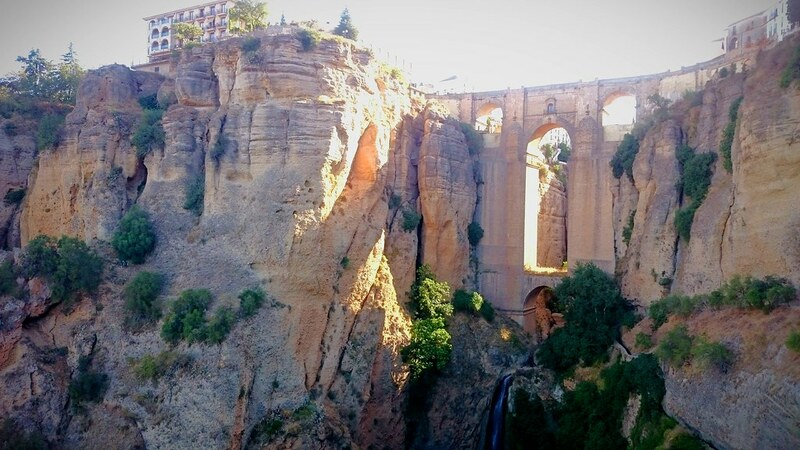 We spent most of our time in Seville, but used a local carpooling service for two daytrips, to Granada and Ronda. 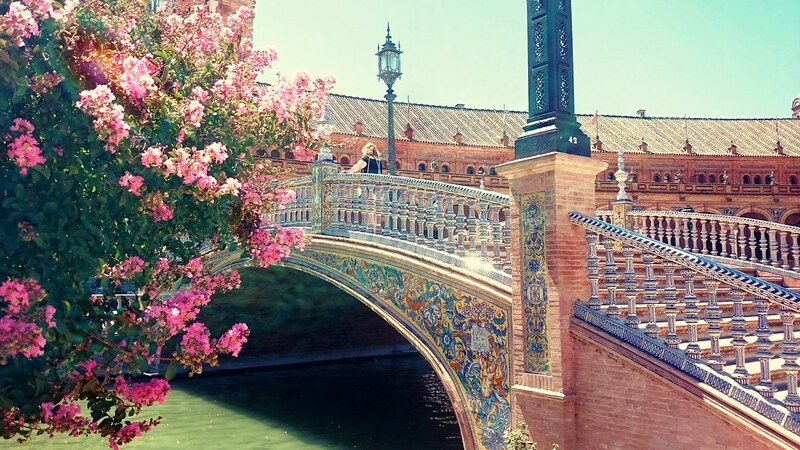 Seville, the capital of Andalusia and Spain’s 4th largest city, flourished in trade during the middle ages and thus has a well-developed and maintained city center. Amongst our highlights there was the 15th century Cathedral of Seville, the third largest church in the world, built over a late twelfth century mosque. It contains the remains of the historical controversial figure Christopher Columbus. 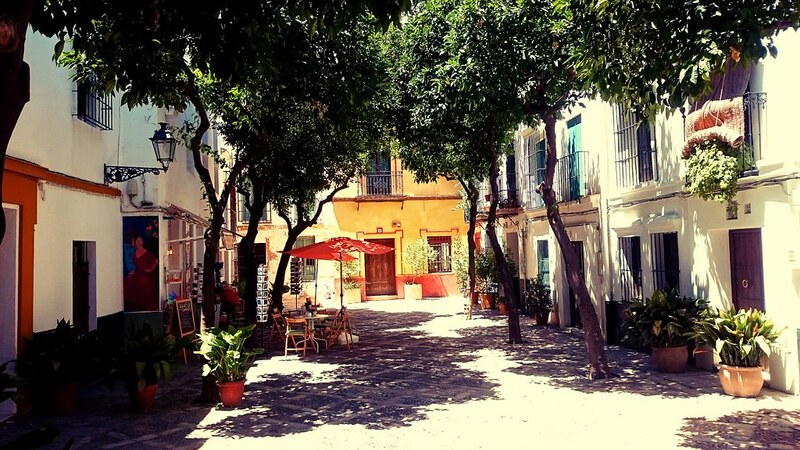 The area around the cathedral (commonly known as the Jewish Quarter) is considered the historical center of Seville and is a delight to stroll through with it’s small cobblestone streets and variety of boutiques and restaurants. Our friend introduced us to a small but crowded bar with late-night flamenco performances, a sure marker of the vibrant nightlife in Seville. 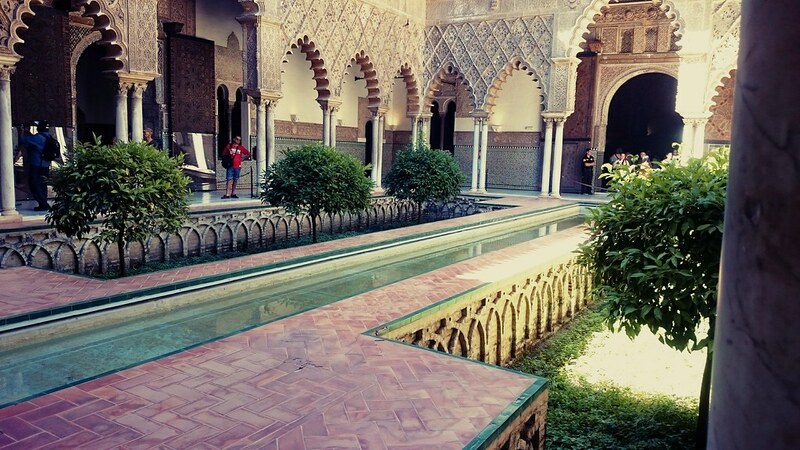 To us, the most impressive site was Réal Alcázar, UNESCO World Heritage Site and palace built in Moorish architectural style across the 10th to 14th century. It has recently gained new fame as setting of Dorne in the hit-series Game of Thrones. 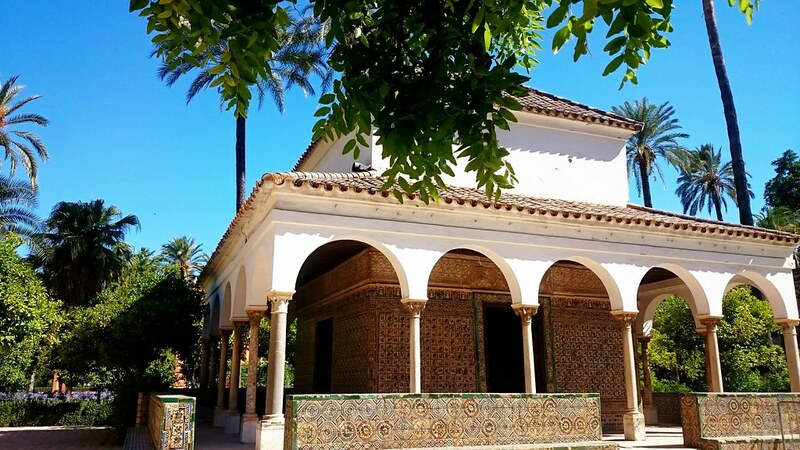 During our trip, we found out that a small festival of late-night concerts were held in the garden of Alcázar and promptly booked tickets. Despite spending over an hour looking for the correct entrance to the event, we were able to join one of the concerts: a performance of baroque pieces for cello, violin and organ. Finally, we visited the Plaza de España, a plaza countaining mainly government buildings designed in a variety of architectural styles, including Art Deco, Moorish and Neo-Renaissance, built over period of 15 years as a means of promoting tourism during the 1929 Expo held in Seville. The plaza has gained renewed touristic interests due to being used as set piece in the Star Wars saga. During our trip, we met up with several local people that our friend had befriended during her stay as intern in this city. Unfortunately neither me nor my girlfriend spoke Spanish very well, but it was still a pleasant way of learning more of Seville life and some of it’s hardships, including low wages, high unemployment, and an unbalanced ratio of man and women. 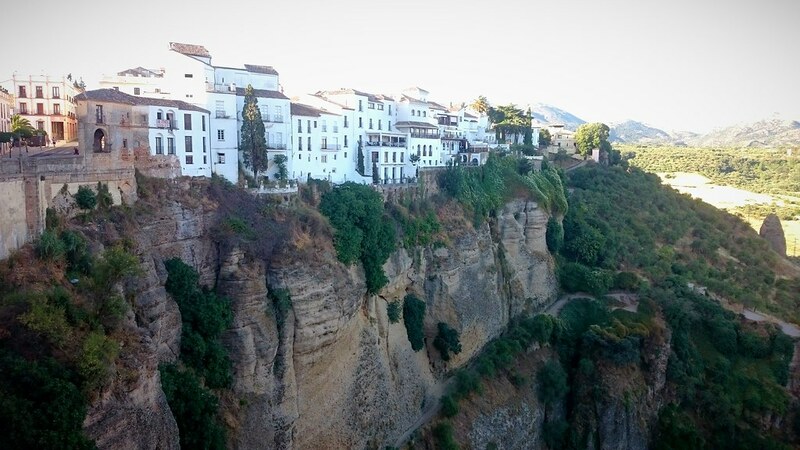 We spent a day in Granada, commuting by car using a local carpooling service. We planned on visiting Alhambra, the Moorish famous palace and fortress complex ended up as Royal Court after the Christian Reconquista. Unfortunately due to an error, our reservation for Alhambra did not go through, but we were however still able to visit the gardens and outer areas of Alhambra, a beauty on itself. Afterwards we spent the evening strolling through town and watching the sun set on Alhambra from a square on a hill. It was a pleasant experience to, after a year of learning the language, speak a few words of Korean with a Korean tourist standing next to us. Using the aforementioned carpooling service we spent a short day in Ronda, a small city in the province of Málaga, situated on a canyon. We spent part of the day hiking down the canyon until we had a beautiful view on the city and it’s bridge spanning the canyon. During our trip we frequently passed street musicians, most of all guitarists performing pieces in Spanish Flamenco style. My father (and as it turns out, my girlfriend’s mother too) often played these pieces, having lived in Andalusia himself, during my early childhood. Hearing these compositions once again after many years, a sense of nostalgia fell over me, and thus it felt appropriate to pick the following two compositions, Recuerdos de la Alhambra - Francisco Tárrega and Asturias - Isaac Albéniz. In my limited opinion, the following renditions have captured the precision of these pieces’ tremolo techniques perfectly. We had some misfortune during this trip, including the errors in the booking of Alhambra. The period of our journey also knew a strong heatwave that significantly worsened traveling conditions by day. 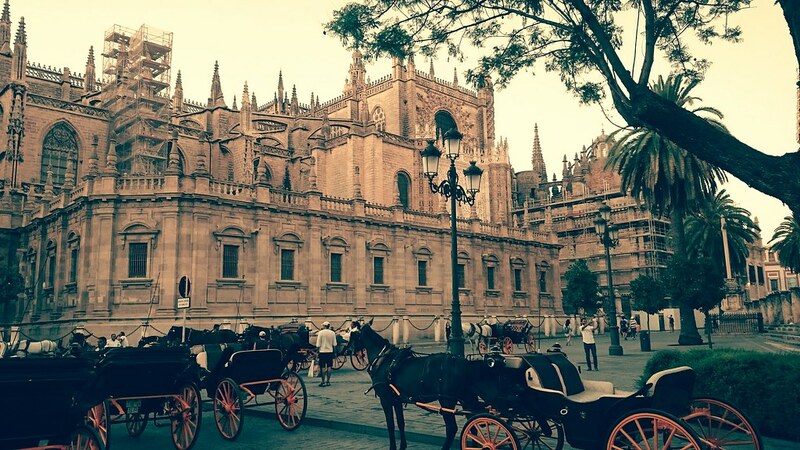 Yet, the charm and beauty of the Andalusian cities we visited were undeniable. The architecture, the lovely small streets and the lush nature sure were lovely to gaze at while strolling around. But most of all, we were able to get some much-needed rest and splurged a bit on excellent food and wine - definitely a highlight of this trip.